It seems trivial, but England – who lost to Australia in their opening match – know that just winning the toss is not enough. You have to make the right decision on the right kind of surface. Dhoni’s streak of good decisions started with him opting to bat first after winning the toss. In a sense, these two teams are quite opposite to each other. 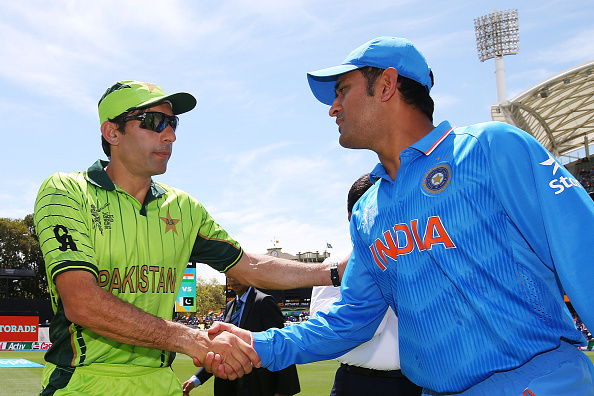 India’s strength is Pakistan's weakness – batting. Dhoni had to choose between keeping India’s strength against exposing Pakistan’s weakness in the second half of the game. Dhoni chose the latter. Shikhar Dhawan, Virat Kohli and Suresh Raina made sure India’s strength delivered and bowlers bowled the best spell of the season and created pressure that eventually got to Pakistan’s batsmen, making it 6-0 in World Cups. After the early fall of Rohit Sharma, Dhawan and Kohli steadied the innings and took India to 163 in 30 overs before Dhawan ran himself out owing to an unfortunate mix-up and a superb direct hit. There were still 20 overs remaining in the innings at the time. The in-form Rahane could have been a safe choice, but Dhoni took the gamble of sending Raina ahead of the Mumbaikar. It also meant a continuation of the left-right combination in the middle. Raina obliged by making 74 from 56 deliveries; the innings that ensured India got the psychological advantage of 300 runs on the board. The innings was the difference in the end. Dhoni was spot on with his field placements in this match. Pakistan batsman Haris Sohail was playing beautifully and had hit a few boundaries through the cover region early in his innings. He was milking the singles too. 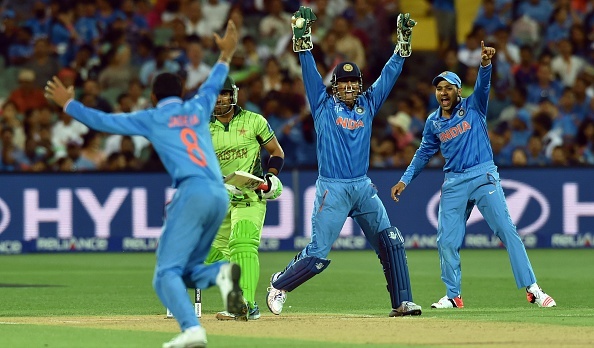 Dhoni then put an extra fielder in the short cover region to put some pressure on Sohail. The boundaries stopped and the singles were hard to come by. The pressure piled up on Sohail who threw his wicket away to Ashwin’s consistent bowling. Pakistan were 102 for 3 when they lost Ahmed Shehzad in the 24th over. Sohaib Maqsood was the next man in. Dhoni put Raina slightly wider in the slips, somewhere between where second and third slip would stand. 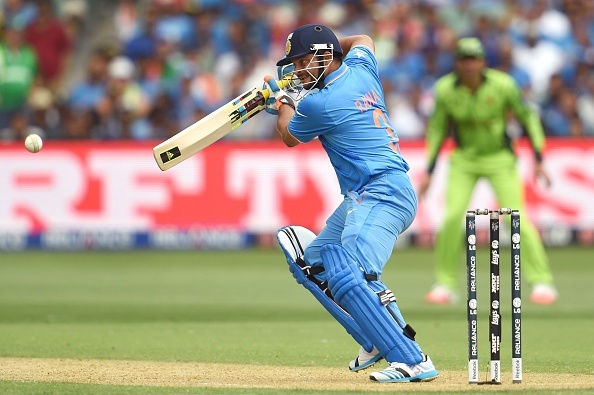 Masqood, on the second ball he faced, nicked an excellent away going delivery from Umesh Yadav straight to Raina. Pakistan 103-4. A hole they never came out of. After a long time, Dhoni had bowlers for every occasion in this match and boy, he made it count and how. To start with, he replaced Umesh Yadav with Mohit Sharma early in the Pakistan innings as soon as the former started to leak runs. Once the flow was under control, he put the spinners on to tighten the screws even further on a pitch where the ball was stopping a bit. Yadav was brought back again once the pressure muted and he struck gold, twice, in the 24th over, removing Shehzad and Masqood. At the end of the innings, when Misbah was hitting spinners at will, he brought back Mohammed Shami who obliged by removing Misbah. Dhoni did not let the game slip away at any point and had a bowler for the job at all times and the bowlers delivered almost every time. 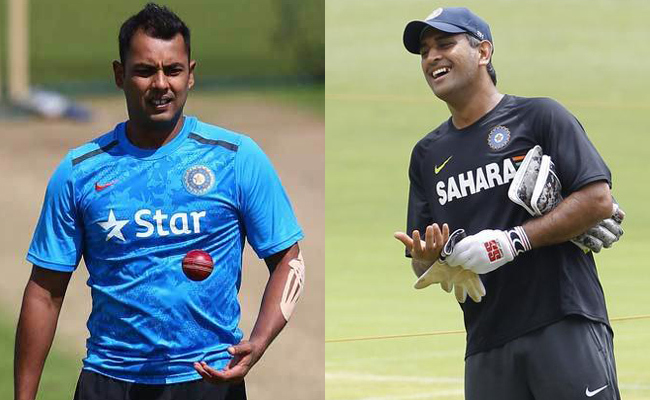 Albeit everything else, Dhoni’s masterstroke of the match was leaving Stuart Binny out of the playing eleven. All the way since the tri-series through to the warm-ups, India projected Binny as a prime player for the World Cup. He opened the innings with the ball in almost every match he played building up to the tournament. There was a lot of talk about him in the press conference. Dhoni defended him as the ‘best-seaming-all-rounder in the team’ only to not select him in the opening match. After all that had happened over the past one month, everybody, including Pakistan, were certain of Binny playing and opening the bowling in the first match. That could well have been the reason for going ahead with Younis Khan to open the batting. Binny is not a surprise anymore. Let’s see what trick Dhoni pulls out of the hat against the mighty South Africans this Sunday. India have never beaten South Africa in 3 ODI World Cup games. Will India be able to turn the tide, unlike Pakistan?